When one looks at the list of greatest goalkeepers of all times, Jorge Campos is a name that instantly pops into the mind. Not just worldwide but Campos is also considered to be Mexico’s greatest goalkeeper of all time. He is the 4th most capped goalkeeper in Mexico’s soccer history. Campos’s story is unique because initially he wanted to play soccer as a forward and even played as a striker in the beginning of his career but he discovered his true strengths lay in hovering around the net. At 5 foot 8 inches tall Campos ideally would not even have made it as a goalkeeper but his motivation and hard work paid off and today he is considered a hero and icon for many soccer players/lovers around the world. Campos played professionally for 16 years before retiring in 2004. Post retirement he opened up a strong of restaurants which feature the famous ‘La Jorge Campos’ burger. 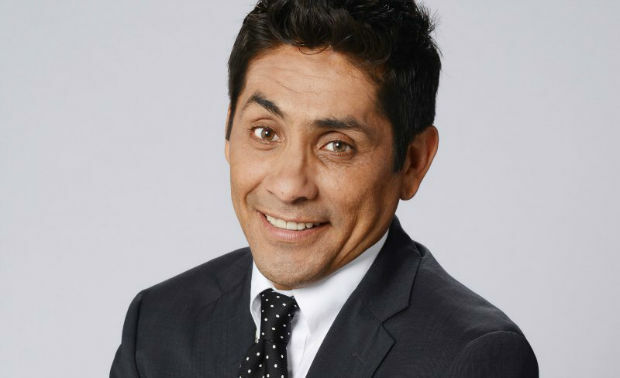 Jorge Campos Navarette was born in 1966 in Acapulco, Mexico into a very poor family. It was Campos’s humble beginnings which always made him one of the most liked and friendly players ever. Campos remembers his rough and poor upbringing but always told his fans and those around him that despite not coming from money his parents raised him right. His famous motto was; honor, strength and confidence and he fully embodies all three traits. Post retirement Campos also opened up his Jorge Campos Goalkeeper School of children in his home town of Acapulco in Mexico. At the beginning of his career Campos really wanted to play as a striker and was a very fine attacker but his athletic abilities and reading the ball very well made him more suited to being a goalkeeper. Another eccentric yet lovable trait of Campos was his unique and colorful fashion sense which always made a mark on the soccer field. Apart from Mexican clubs Pumas and Cruz Azul Campos also played for Atlante, Tigres and Puebla. On an international level Campos played for Mexico 130 times. He alos played for Mexico during the 1994 and 1998 World Cups. Campos is one of those rare breed of soccer players who opted to play for the American league more than the Euro side. Campos played actively for the Los Angeles Galaxy, Chicago Fire amongst others. A colorful maverick, Campos is considered to be a national and international soccer hero and a revolutionary in the world of soccer. Campos won two Gold Cups in 1993 and 1996 and Mexico’s only Confederations Cup in 1999. Campos was truly a soccer maverick who was known for his constant play and acrobatic style of goalkeeping. His core strengths of leaping, athleticism and speed made him one of the best goalkeepers of his generation. Campos has won two Confederation Cups, two Gold Cups and three Copas America titles. Time magazine hailed him as one of the greatest athletes of all time in 2004.